Active learning is a pedagogical practice that shifts the focus from teacher-based delivery of content to learning activities performed by students. It requires students to engage with course material through reading, writing, discussing, role-playing, listening, and reflecting. Research confirms that by taking a more active role in their own learning, students improve their conceptual understanding, critical thinking, creativity, and interpersonal skills. 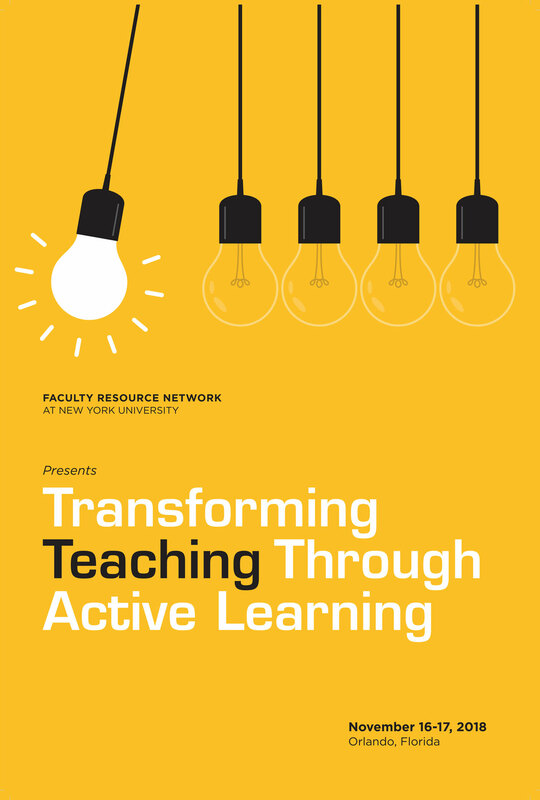 Active learning has been around for some time, but recent changes in the academy, our students, and the world make this an opportune time to utilize this pedagogy to transform our teaching. In past decades, students relied on professors and library books as their primary sources of knowledge. But today’s college students do not remember life without a smart phone and its ability to instantly access vast amounts of information through the internet. As a result, college education is shifting from the transmission to the evaluation of information. Active learning is a particularly powerful teaching strategy for cultivating a new generation of critical and creative thinkers. In addition, the complexity of our world’s current challenges—climate change, rising economic inequality, political divisiveness, infectious diseases, to name just a few—require a team-based approach to tackling multifaceted problems. Active learning techniques are well suited to promoting student collaboration towards achieving a shared goal. As with any pedagogy, active learning requires thoughtful planning, implementation, and assessment. The 2018 FRN National Symposium provided a forum to explore the many varieties of active-learning techniques, develop best practices for lesson planning, and examine technology-based resources to facilitate student engagement. The 2018 Faculty Resource Network National Symposium, which took place in Miami, Florida, examined these challenging questions by drawing on the collective expertise of scholars, educators, practitioners, and administrators. The sessions were held at FRN institution Stetson University. In this sixteenth issue of our online NETWORK: A Journal of Faculty Development, we present excerpts from a number of the presentations that were delivered during that symposium.